Friday, 31st May 2013: At the Dublin City Gallery The Hugh Lane today, the Lord Mayor of Dublin Naoise Ó Muirí and Chairman of the Irish Aviation Authority Anne Nolan unveiled a unique Irish aviation FlightFest art competition for thousands of pupils in primary schools throughout the city. These students will have the opportunity to participate in the competition as part of the FlightFest event, which is a once-in-a-lifetime international flypast of more than 30 aircraft over the River Liffey on Sunday 15th September 2013. 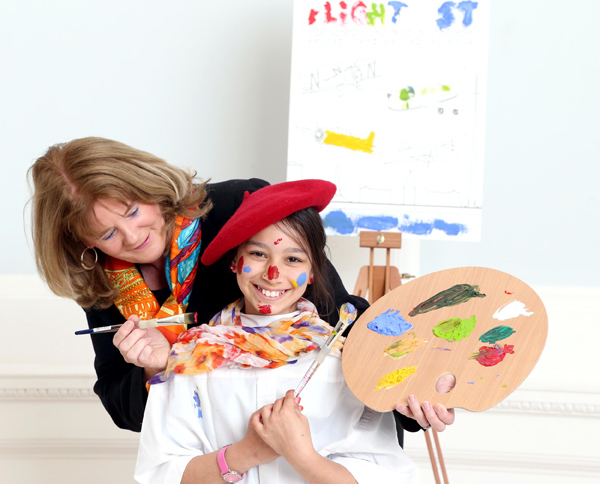 Organised by the Irish Aviation Authority, and supported by Dublin City Council, the art competition is based on the theme ‘Aircraft and The Liffey’. It is open to all students in primary schools throughout the Dublin area and includes four categories, junior infants to sixth class pupils. There is also a separate category for primary schools with special education needs. In the junior / senior infant categories, pupils will submit their entries on prepared drawing templates. For categories 2 -4, pupils may submit their free drawing entries. For the primary schools with special education needs there are two categories, A and B. In these categories, pupils may complete the pre-prepared templates or may submit their free drawing entries. Each entry in all categories must contain an aircraft and a river and must be on an A4 sized page with no frame or mounting. 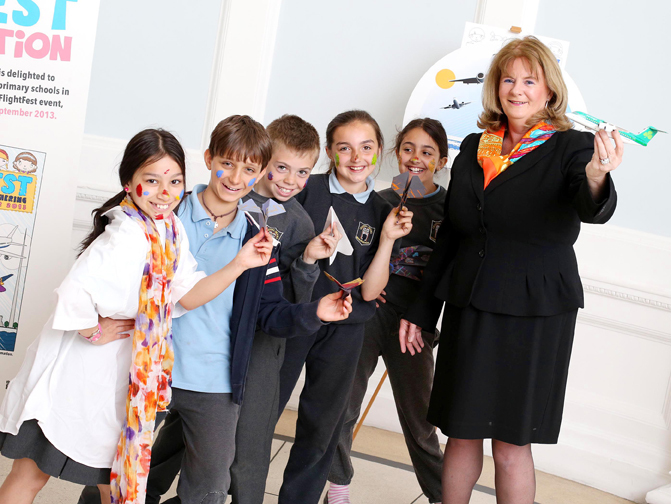 Ms Anne Nolan, Chairman of the Irish Aviation Authority said that the art competition will focus students’ minds on FlightFest and hopefully encourage them to come into the city on Sunday, 15th September to experience the historic fly past. 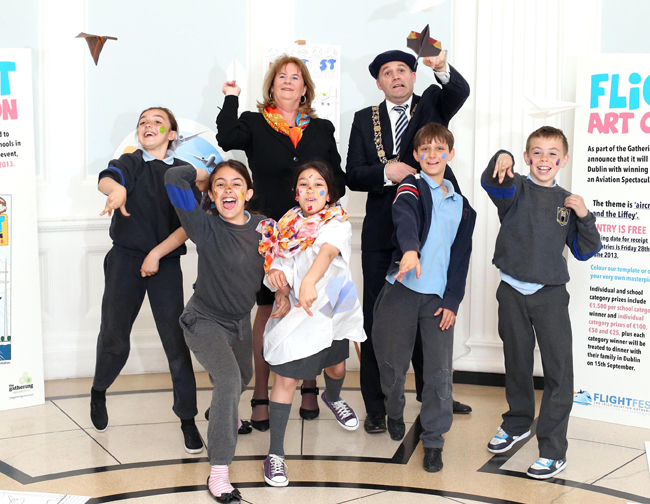 “At this stage every primary school principal in Dublin has received a FlightFest pack with all the details and we hope that they will embrace this art competition and encourage the students to participate,” she said. 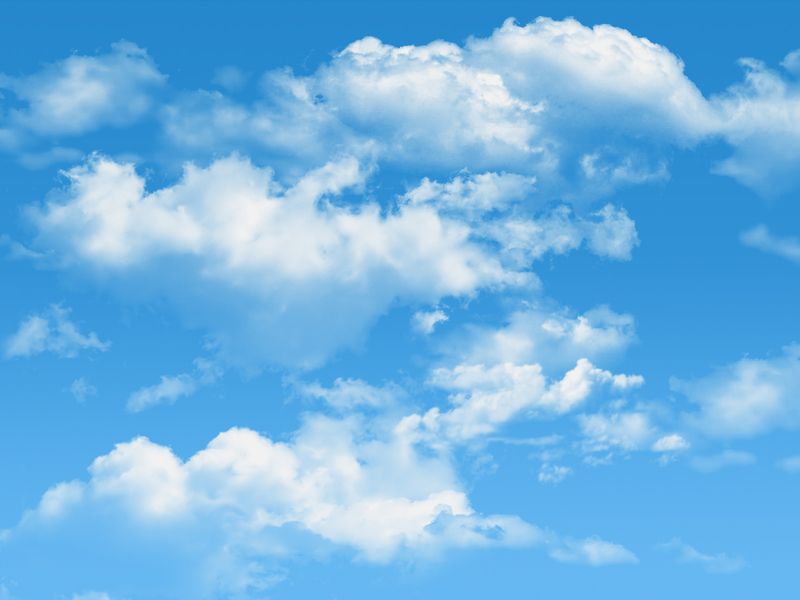 The Irish Aviation Authority has arranged a number of prizes in each category. The winner in each category will receive €100 with the runner-up receiving €50 and third prize is worth €25. 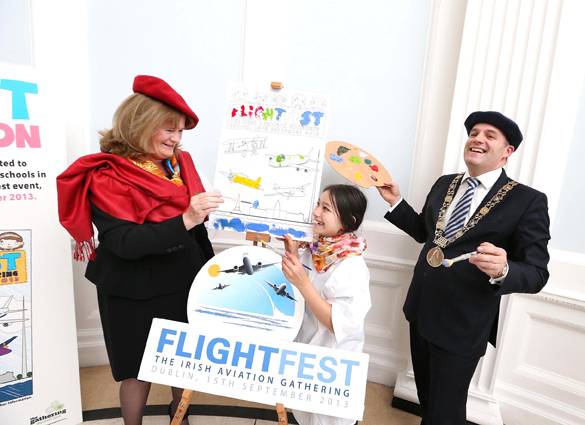 “I call on all budding artists in Dublin to get their paints out and let their imagination tell us what Flightfest will be like,” said the Lord Mayor of Dublin Naoise Ó Muirí. The school in which the winner in each category attends will also receive €1,500 and each of the winners and their families and will receive a luncheon voucher for a Dublin hotel on the day of the event. Each school will identify the competition categories in which it wishes to enter. Following its own art competition for all students, the school will select the three best entries in each category to be entered into the competition. The closing date for entries is 17.30pm on Friday, 28th June 2013 and the winners will be announced in the first week of September. Over 30 aircraft will fly through the city of Dublin as part of the Gathering Ireland 2013. They will set off from Dublin Airport, into Dublin Port and up along the River Liffey, as far as the Customs House. The sustained flypast through Dublin city centre will take two hours to complete and the flights will be sequenced at five minutes intervals. FlightFest will be a free family event. A large section of the quays will be pedestrianised, with many family attractions and festivities available, contributing to a carnival atmosphere that will showcase Irish aviation. Large commercial aircraft from Ireland and abroad will fly past, including the Boeing 737 and the Airbus A320, A321, A300, A330 and A340 aircraft . The Irish Air Corps and the Royal Air Force will also participate and spectators will enjoy a variety of helicopters and vintage aircraft including the World War II Spitfire and the B-17 Flying Fortress. FlightFest is being brought to Dublin by the Irish Aviation Authority and Dublin City Council, in partnership with Dublin Port Company, The Gathering Ireland 2013, Fáilte Ireland, Tourism Ireland, the Air Corps and An Garda Síochána. The FlightFest fly past will take place on the afternoon of Sunday, 15th September 2013. The aircraft will be seen from most parts of the city centre. However the best vantage points will be along the River Liffey from Dublin Port right up to the Customs House. The aircraft confirmed at present include: B-17 Flying Fortress; Pilatus PC9; Learjet; Casa; Gulfstream; Cessna; Grace Spitfire ML407; RJ85; Sikorsky S92 and S61 and AW139 helicopters; C130 Hercules; Boeing 737 and Airbus A320, A321, A300, A330 and A340. Owners of more aircraft are expected to confirm their participation in the coming weeks.